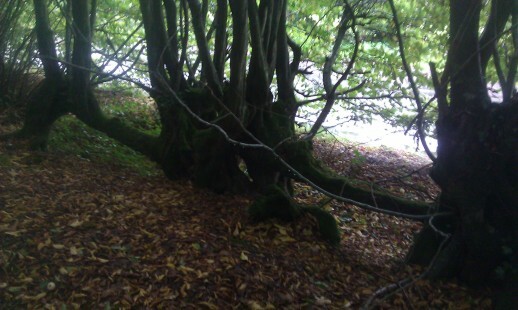 For many woodland owners especially those with ancient woodlands, our hedges are our boundaries. They may have been planted 100’s of years ago, some still managed as hedges, having been layed, pollarded or coppiced many times, others are unrecognisable as a hedge, more a line of full grown trees which is what all hedges aspire to be eventually! Managing an old hedge is a labour intensive business. Planting a new hedge…also labour intensive! It is however, a very satisfying and rewarding experience, at least that’s what you will be telling yourself once you’ve put the last plant in and are soothing your aching muscles in a warm bath. They provide food and shelter for wildlife.They increase biodiversity. Managed properly they can be as stock proof as a wire fence. You may be able to get support in the form of a grant to help pay some of the costs. They look much better and are continually providing interest as they change with the seasons. Even though they are a lot of work to maintain, planting, weeding, watering in the early years, then trimming and relaying every 15 years. I still think the benefits make the effort very worthwhile. Here is how I planted a mixed native species hedge this winter. It is bordering a paddock in the High Weald Area of Outstanding Natural Beauty (AONB). 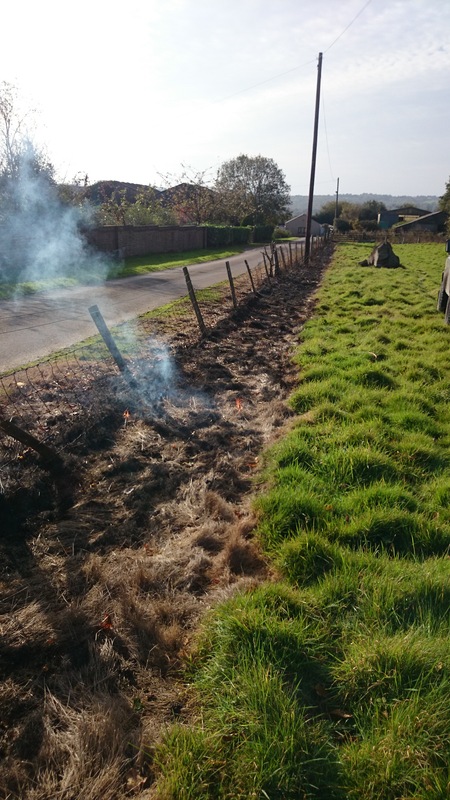 A big thank you is owed to the team at the AONB who supported the project and helped offset some of the costs with funding from the Community Landscape Fund. Another huge thank you is due to my friends and family who helped with the not inconsiderable labour involved. Choosing Species – A fun process! I started out with about 15 possibles and whittled the choice down to 9. I wanted as much diversity as possible whilst providing shelter and a visual screen year round. Hawthorn is always going to be high on the list of any native hedge, tried and tested over the years it is hardy, provides blossom and fruit and you can even add the young leaves to a salad. This was the basis of the hedge, other species I chose were hornbeam as it keeps it’s leaves similar to beech in the winter, but is hardier than beech in the wet. I had noticed a lot of holly thriving in the area and as I was planting a triple row, I used it for the centre of the hedge along with a few wild privet for their year round screening qualities. Blackthorn, crab apple two roses, gueldar and dog, would add to the nectar and fruiting possibilities and field maple would provide a lovely autumnal colour. 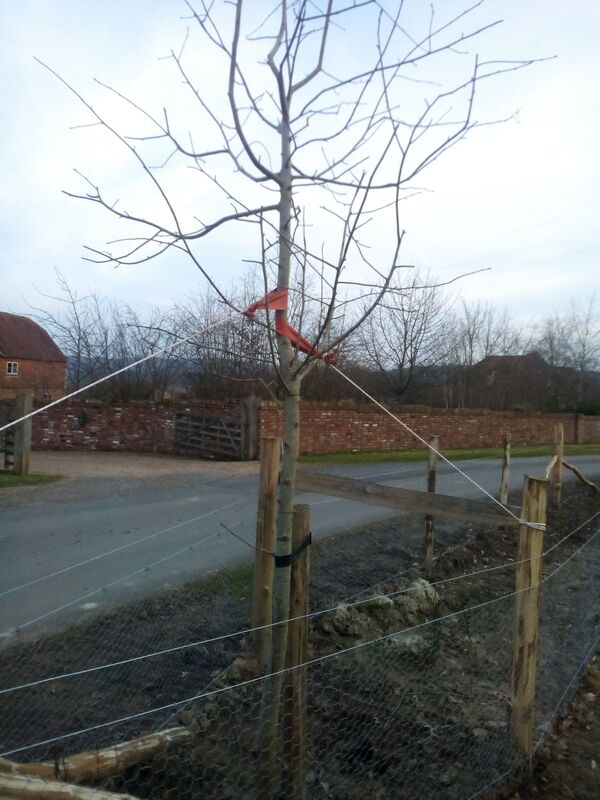 I planted one wild service tree about six years old as a standard at the start of the hedge. I chose this as it is an increasingly rare ancient woodland species, much prized for its timber, but also provides fruit for the birds and has a beautiful shaped leaf and autumn colour. Preparation started last summer. 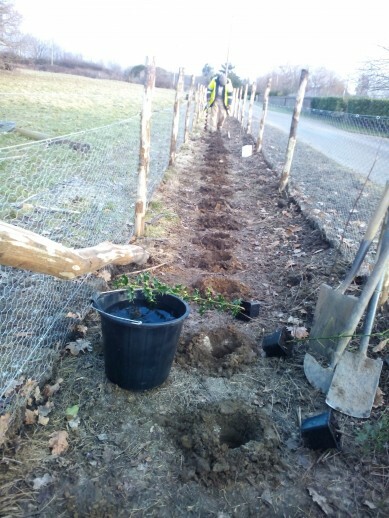 You really want to start with a blank canvas to give the young trees the best start in life. 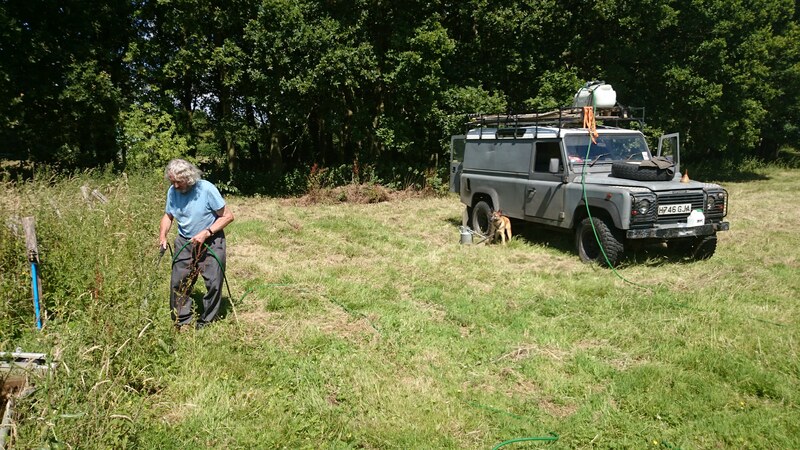 I chose to use a herbicide to kill off the grass and weeds in about a metre strip where the hedge would be. I’m not overly keen on using chemicals, however the alternative on a hedge this long isn’t really practical. 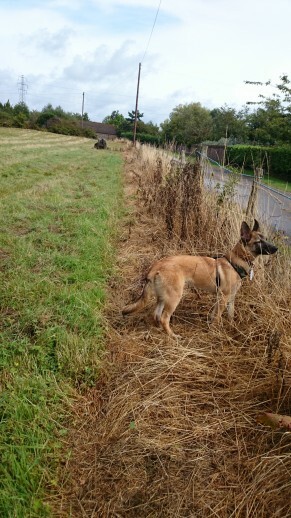 A weed barrier cloth and mulch over the site would work fine if left down for a year, but is expensive and labour intensive. I treated the area in July, then went back a couple of months later and reapplied it. Once it was all dead in a dry spell later in the season, I borrowed a friends blow torch and burnt off all the dead material. 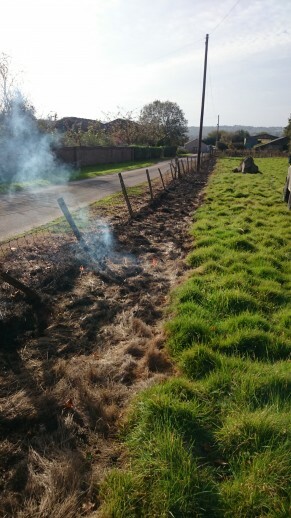 All this doesn’t seem very eco friendly, but rationalising it, if this hedge is going to be around for the next few hundred years, the benefits to wildlife and biodiversity in the future is going to far outweigh this short term destruction. 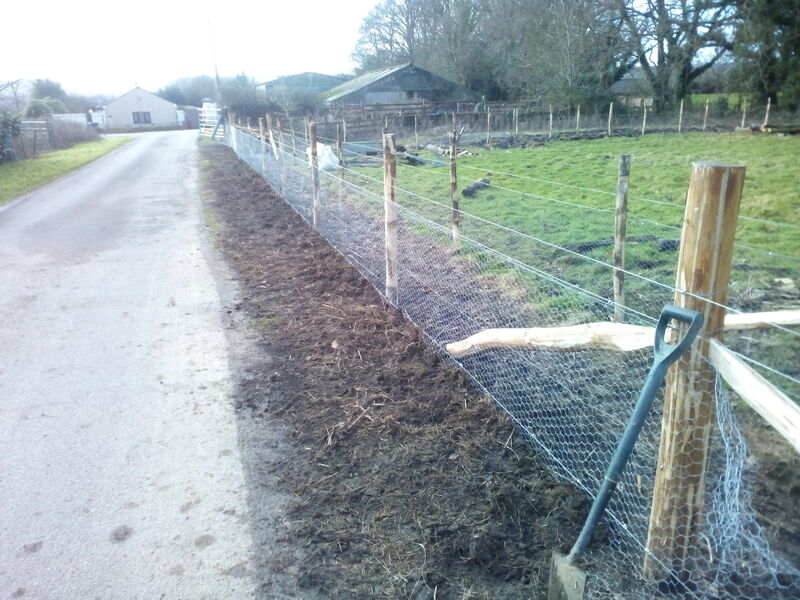 Putting up a rabbit proof fence involves a bit more than a stock fence. Long term, once the hedge is established, I’d like to remove all the wire and netting completely, future hedge layers (maybe even myself!) 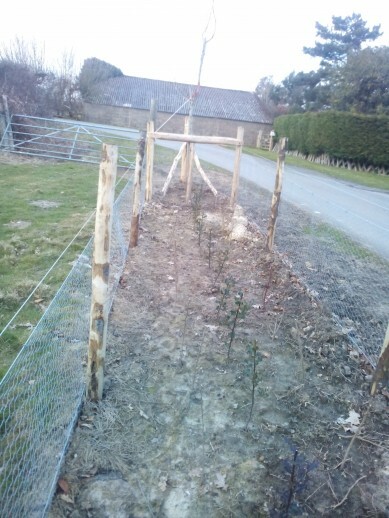 will be grateful of this, but in the meantime a robust fence is needed to protect the young plants. 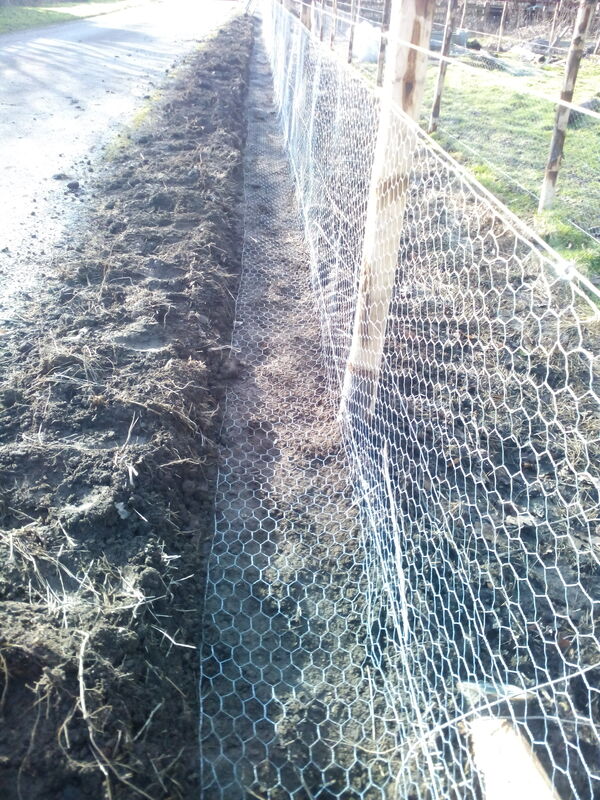 Rabbits are obviously quite adept at burrowing so the netting needs to be buried under the ground. The easiest way is to chop out some turfs about 10” wide, and lay the netting on the bare earth in the direction you are expecting the rabbits to’ attack’, then replace the sods (that’s the turfs not the rabbits!). Hang the netting from tensioned line wires top and bottom with netting clips, sometimes called ‘hog rings’. 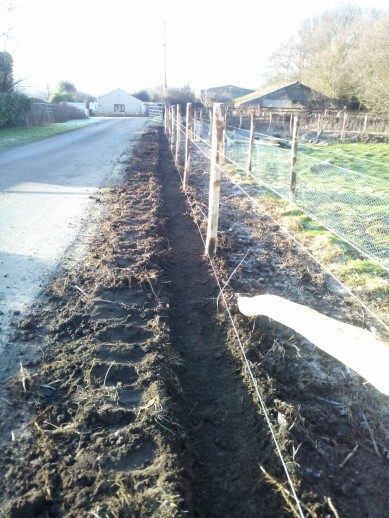 Because you are tensioning the lines, you will need to use thicker strainer posts and struts to ensure the tension in the lines does not pull the posts out of the ground. All in all quite an effort, but after 6 months, a good few hundred quid and countless hours labour, eventually came the time to start planting! Planting in comparison is relatively simple. Some people slot plant their young trees, this is just wiggling your spade in the ground to create a slot to put the roots in. I prefer to dig a hole, it doesn’t take much longer, but actually as this soil was quite nice and friable, I used a petrol driven auger which produced a 4” hole big enough and deep enough to get the roots in and covered. To this I added a small handful of blood and bone fertiliser. A lot of people don’t bother as it can encourage weeds, but if you are using mulch, this will help maintain the nitrogen level. Make sure you don’t allow your bare rooted plants to dry out, it’s best to plant on a damp drizzly day, but if not, cover the plants with a damp rag and water well once in the ground. Finally I cut the trees back to encourage a strong lateral growth from the bottom. At the end of the growing season I will probably cut back half of the growth again and hopefully, a good thick hedge will take shape. Annual or biannual trimming can be done until, in 15 years or so, as the hedge plants strain to become trees, it will need laying. I’m clearing my diary for winter 2030 and will probably be looking for more volunteers by then!